Nginx is one of the most popular Load balancers, reverse proxies, and, web servers which comes in both Commercial and Open-source forms. 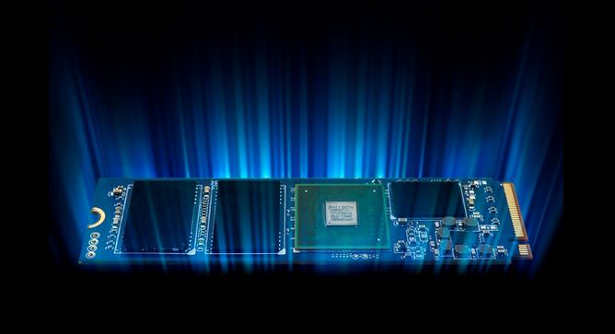 and it has recently gone beyond the server roots and launches its own Application Platform. currently that the way developers writing and deploying of applications is changing very quickly, The company announced at Developer Conference in Portland a couple of days ago, that it’s launching the Nginx Application Platform to give developers a one-stop platform for developing or modernizing their applications with DevOps, the cloud, containers and micro services in mind. 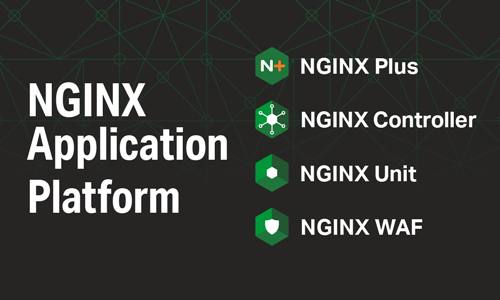 As you might guess the core of the Nginx’s new Platform is Nginx Plus, The commercial version of Nginx that adds a good amount of enterprise features to the open-source version. Plus the company is going to add the Nginx Controller and Nginx Unit which provides a central management and control panel for your Applications. The development team says that the Controller is a bridge between Nginx Plus and the traditional applications that people run on top of it. Nginx Controller will launch in closed beta in October but Unit is already available. The existing Nginx Web Application Firewall rounds out the platform. Pricing for the full platform remains untold while Controller is still in closed beta. It’s also odd because the Nginx Unit is going to be open-source while Nginx Controller is a closed-source project. Once you install CentOS 7, you will understand there are many differences between CentOS 6 and 7, but however, some technical and people want to use old programs like “iptables” on CentOS 7. One of the programs which are not common on CentOS 7 is “iptables”. CentOS 7 comes with another firewall installed in it called “firewalld” which is known by any customer. You are able to disable this new firewall and enable old known iptables on CentOS 7 again. Here I will show you how to do this. We have to stop and disable firewalld service. Then we should install iptables again on CentOS 7. Now you are able to use old known iptables on CentOS 7 again, however, firewalld will give you more ability and better firewall options if you want to go professional. Today we are going to install the latest version of Apache “Apache 2.4.23” on a new fresh updated CentOS 7. You can use this tutorial for CentOS 6 as well. Make sure you have already installed following packages on your server. Then, we will choose the latest version from Apache website. and download it. Now you are able to continue with the rest of guide. Now we will start building Apache from source and install it on our server. By default, Apache will install all its architecture-independent files in “/usr/local/apache2”. If you want to change this directory we have to set the –prefix option in ./configure . I will use /etc/httpd/ for this option in this tutorial. But, make sure that you are not overwriting your old configuration if you already have installed apache before. I am also using “–sbindir” option to specify the directory where system administrator executables will be installed. Those are server programs like httpd, apachectl, suexec, etc. which are necessary to run the Apache HTTP Server. Now we are ready to go, we can start Apache server and go ahead with configurations. That’s it! should you have any question or problem regarding this post please leave a comment below. How to use IPv6 on Apache? Nowadays IPv6 is getting more and more common to be used on web servers. It’s better to implement IPv6 on servers in order to be accessible on IPv6 networks. Here it is a really quick instruction how to get ready for IPv6 on your Apache web servers. I have installed a fresh CentOS and a fresh apache on my test server, without any control panel. If you are using a control panel or any other operation systems, the way of preparing should be the same, however, if you have any problem during your configuration, you can ask me in the comments. Let’s start with the apache configuration file. Open “/etc/httpd/conf/httpd.conf” with your text editor in the server. I am using nano. Save and exit this file. Now we should change the virtual hosts to add a new IPv6 record into this. Here is an example of a virtual host with IPv6. You should change this configuration in order to be fit into your server configuration. What you actually can do, is copying the VirtualHost configuration of your IPv4 and edit the first line to IPv6. Do not forget to use brackets for your IPv6. After configurations are done, we are going to restart apache and try to access our web server over IPv6 from Browser. If you have any problem or question please leave a comment below. The box has crashed and I had to reboot it. After server comes up, I have checked the logs to see what was wrong on the server. I have found it. After changing the script and restarting the interface, the server was working fine again. I hope this can help you all, who faces the same issue. You are managing a dedicated server from Internet, and want to access to IPMI? You have colocated a dedicated server in a datacenter and you are looking to have a way to cut off the expensive remote hand fees for reboots, KVM installation, and correction? This can be easily done over IPMI. But sometimes it is common to happen that your IPMI is not accessible over an Internet interface. This issue may have several reasons. Maybe your IP Configuration is not correct, or maybe the IPMI has crashed, etc. Here is an easy way to correct such problems on your own dedicated server. At the first we have to install ipmitool on our dedicated box. For installing the ipmitool program you have two way to choose, one is using “yum” on CentOS or “apt-get” on Ubuntu, Debian, and the second way is installing this program from source. I will show you all 3 ways to install IPMITool on our dedicated box. Now you can use ipmitool and see/edit the details of your ipmi setting on your dedicated server without having to boot the server into BIOS. Do you want to see the chassis information of your server, then you have to use following command. You can also see and edit the network configuration of your chassis via ipmitoo. For reviewing the Network Configuration you should use following command, as output you will see a list of information, the important details for you might be the “IP Address” section, which shows your current public or private ip address of ipmi. Sometimes you will see that your ipmi console is not working, or your web interface is not loading for you. The best and simplest way you can solve such issues, is resetting the bmc of IPMI. For performing this you should run the following command. This command won’t reboot your dedicated server, and will only reset the bmc of ipmi. You want to see how hot your server currently is? No problem it is simple with IPMITool. You can use following command to see the temperature of your server/cpu and chassis. There are a lot more to use with this helpful command, if you have any question regarding this software, please leave a Comment for me and I will get back to you with a solution. I hope this article helps you. We’re delighted to announce the latest update of our ubersmith and new features! last week we were working hard to make sure that all the Supermicro servers are ready to be integrated to our customer panel,now our customers are able to gain access to the KVM Console,SOL Console,Server Temperature,Fans Status,Voltage,etc! before this event you had to reboot your server in a hard way – that could damage your server sometimes but at the moment the panel find the safest way to rebooting your server.if the server have IPMI (all the new servers have) it will post the reboot request to IPMI instead of power distribution unit (PDU) actually it do a soft reboot. How to access this ? just login in into your customer panel and go to “Device Manager” -> “View Devices” then you see your devices list.choose one and then you’re able to manage your server easily(“IP assignments,Bandwidth monitoring,Device information,Monitoring sensors,IPMI information and Reboot control!”). Feel free to contact our support department if you have any trouble using IPMI or questions regarding using it. Also it’s good to know the upcoming features,we’re working on RDNS control and a White-label panel for resellers! You may subscribe to our blog or follow us at Twitter,Facebook or Google+ to keep updated about the company news.